The head-turning good looks of 2019 Fusion also carry the smart technology to help you stay confident on the road. Some of that technology is in the new Ford Co-Pilot360 Assist Package. This available package includes a 4.2-inch driver-configurable LCD display in the instrument cluster, adaptive cruise control with stop-and-go, dual-zone electronic automatic temperature control, SYNC® 390 and voice-activated touchscreen navigation with SiriusXM® Traffic and Travel Link. 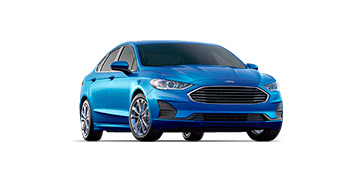 Click here to view all of the New Ford Fusion Cars for sale at City Ford in Edmonton!